Thinking of studying Product Design? Studying Product Design at University is a big decision. 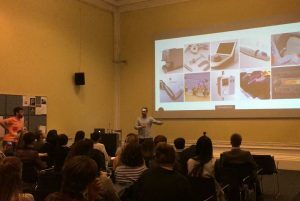 I was recently invited by Arts Thread to deliver a talk at the V&A Museum as part of London Design Festival, inspiring young people in design. The talk was titled ‘Thinking of studying design?’ and was aimed at 16-24 year old’s who are currently weighing up their options. I wanted to share my passion for design, give a few reasons why I think it’s a great area to study, and was also asked to share my journey in Product Design so far so that the students could see what a career in the industry might look like. There was a problem with the audio from the recording at the festival, but I decided to re-record it here to share with you guys so check out the video up top. If you hated coursework at school, and much preferred exams – a degree in Product Design may not be for you. We’re talking 90% project-based. In some subjects it’s highly theoretical. When studying design, you will be identifying and creating solutions to real-life problems. All decent design schools run live projects with established brands. If you’re good, you can expect to be presenting your solutions to a few Design Directors in your 2nd year of study. My point is – it’s highly practical and it’s REAL from day one. When you study Product Design and take on a project, you immerse yourself in research of a particular area. You study the market, analyse user behaviour, understand consumer perceptions and conduct focus groups. You reverse engineer competitor products, look for scientific data, research patents and record the opinion of relevant experts. This continues in more depth for projects in industry, and it’s so much fun. You get to learn so much about so many different areas. For me recently, I’ve been learning all about a particular surgical procedure and a new technology that goes with it. It’s fascinating. Also, with nearly every new project, you are likely to learn about a new manufacturing process, material or new technology. For me, Product Design was an easy choice because I loved how it fused so many different skills that I enjoyed developing. This is one of my number one criteria when choosing a place of work. As a designer, you can meet with users and conduct ethnographic research, develop the form of a product through sketching, build prototypes, model a part in CAD, do some initial testing and deliver a client presentation – all in a single week. When you mix this across different projects, you’re getting a lot of variety in the work you do and it keeps it exciting. It’s also not the type of job where you are locked in a room by yourself for 8 hours a day. You have very interesting debates and collaborate with lots of different types of people. You also manage clients and present face-to-face. One thing I found at University and also in the different design teams I’ve worked with, is that you get a really diverse melting pot of individuals – and these people tend to be quite interesting. Pro-active, driven individuals. Creative go-getters. Self-starters with lots of unique interests. When you get into design, you don’t tend to work with people who hate their jobs. It’s more uplifting. Optimistic. Most of them LOVE it. As an Industrial Designer, it’s likely that you will travel to China. I’ve been to quite a few different cities out there now, with trips lasting a few weeks at a time – and I love it. I’m not saying ALL design jobs offer the opportunity to travel, but it’s highly likely considering the amount of manufacturing done in the Far East and the global nature of business. I’ve traveled abroad for different reasons in different jobs. For research, presentations, testing and for extra resource required in the Shanghai office. It’s not a certainty – but if it’s something you’re looking for in a career, then at least you know now that design can offer it. Design has the power to solve meaningful problems for real people. If you get into design, you can positively impact people’s lives. You could argue that this impact is more direct for some projects (medical) compared with others – but products of many different types have the potential to bring someone great pleasure and add value to their lives. How many times have you bought something for yourself or someone else that just brought a great amount of pleasure to their life. That thing, whatever it was, had to be designed by someone – and now that someone can be you. We’re also helping business owners and brand managers to drive growth with remarkable products. Products can also make things easier for people, and give them more time to do the things that they REALLY want to do. Take a washing machine as an example. Nobody wants to wash clothes by hand. Before the washing machine was designed, people all over the world were spending hundreds of hours doing something they didn’t want to do, and now they can spend that time however they want. This is one example that people can easily connect with. My point is – you can do some good, impact the way we live and help shape the world of tomorrow. For me, design IS the main thing I love. (I do have other interests – I’m not a weirdo). However, if you love rock-climbing, and design comes second to that, then guess what? – someone needs to design rock-climbing gear! Design gives you the opportunity to combine your other interests with your work. Hopefully that’s enough to get all the young readers signed up to pursuing a career in design – or just more excited if you’re already on the track and studying at University already! If you’re a designer in industry already and think I’ve missed something, drop a comment below with what you would tell a young adult considering studying design. Something that might inspire or excite them. I’d love to hear what others love most about being a designer. Also, I’d be interested to hear comments from people who studied design and then went on to something else – to see what value they think they got from studying design. If you’ve enjoyed this post, feel free to share with any young adults you know who might find it useful, by using the socials below! 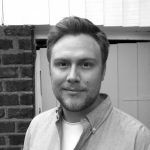 About the author: Nick Chubb is an Industrial Designer at IDC, designing consumer products and medical devices for some of the world’s largest brands. He has a 1st Class Masters Degree in Product Design and was selected by Develop3D as one of the Top 5 New Designers in the UK. You can see the original post here. I really loved the article!Thank you for sharing what exactly is the job of a product designer.The article is truly inspiring.I am an aspiring designer and after reading this I’m even more excited to be one! !